I have written before about regret, that dreadful emotion that drones on like a mosquito in the room when you’re trying to sleep. Anyone over the age of about five knows the feeling, but those of us who are in older adulthood are particularly prone to feel regret. I recently read an article on regret by Julie Beck at the Atlantic website. Beck cites some interesting psychological studies on the topic. For example, one meta-analysis (that’s a statistical analysis of previously published studies) found that the three areas of life where people experience the most regret are education, career, and romance. So if you’re bothered that you didn’t get that degree when you had the chance, or that you took the wrong job, or that you picked the wrong partner, you’re not alone. Whatever the area of life, regret follows opportunity–if you had only one practical option, you aren’t likely to regret the direction you took, but if you had many choices some of those you passed over may well seem pretty desirable in retrospect. Education is one of the main areas of regret. 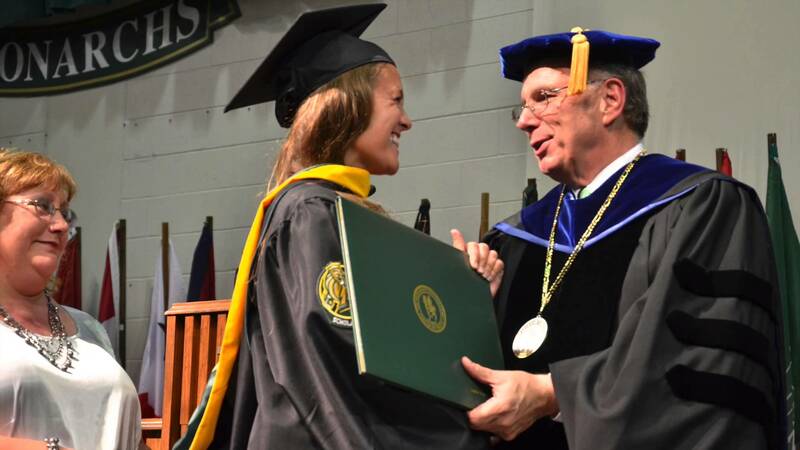 Image from Methodist University. Another interesting thing about regret is that we are likely to regret actions soon after we took them, as in thinking “I never should have eaten a whole bag of candy” while still chewing on the last piece. With time, regret over our actions fades and what bothers us more are our failures to act–the things we didn’t do but wished we had. Thomas Gilovich, a professor of psychology at Cornell University, explained to Beck that we fairly quickly forget our foolish deeds, but “the mistakes of inaction may only become clear with time.” Thus, it often takes years to figure out that we would have been better off had we gotten more education or left one job for another. When you put work ahead of your children, at the time it may seem for the best, but years later the missed school plays or soccer games can be seen more clearly as missed opportunities. Another study, this one by Neal Roese of Northwestern University, found that people tend to have more intense regrets for mistakes that they still have the opportunity to change. Thus, during my years as a college professor I regretted not finishing a research project I had begun. Now that I’m retired and the opportunity is gone, though, I don’t think about it anymore. Another point that Beck makes is that regret is helpful. It involves thinking about what we might have done differently. Even if it’s too late to redeem the particular situation we’re having regrets about, such thoughts help us prepare for the next time we find ourselves facing the same issues. Gilovich makes much the same point when he says, “To live is to have at least some regrets, and if you don’t there’s a concern that maybe you aren’t learning sufficiently.” The suggestion seems to be that, if we reflect on our behavior at all, we’ll at times recognize that something we did violated our standards or took us further from achieving our goals. We’ll learn from that experience and be less likely to make the same mistake again. Regret is the emotion that accompanies this learning process. As we follow the path to maturity, it’s inevitable that we sometimes find ourselves wading through a swamp of regret. There are two possible dangers; getting mired in that swamp or detouring around the muck and thereby not learning from it. So, may you have just the right amount of regret, and may it be your tutor, not your tormentor. Spinning this toward the positive, everything that has happened to me was SUPPOSED to happen and led to my growth and maturity. I chose the right educational and career path and chose the right wife. At almost 69, I am blessed with good health, a happy marriage and financial freedom. If I have one regret, it’s that I didn’t realize and appreciate all the GOOD things a lot sooner!